Hooah!! Thrilled to share with you that Wolfsbane has survived the intense and expansive editing and updating to get this story up to speed with my more recent novels. Admittedly, I was a little shocked–I found several mistakes, plot holes, logic jumps, too-quick transitions, etc., so I worked some finesse on them and sent them off to the amazing Rel Mollet. When the novel came back from the formatter, we were stunned to discover it was 100 pages longer than the 2012 edition, which won the Christy Award for Excellence in Christian Fiction. 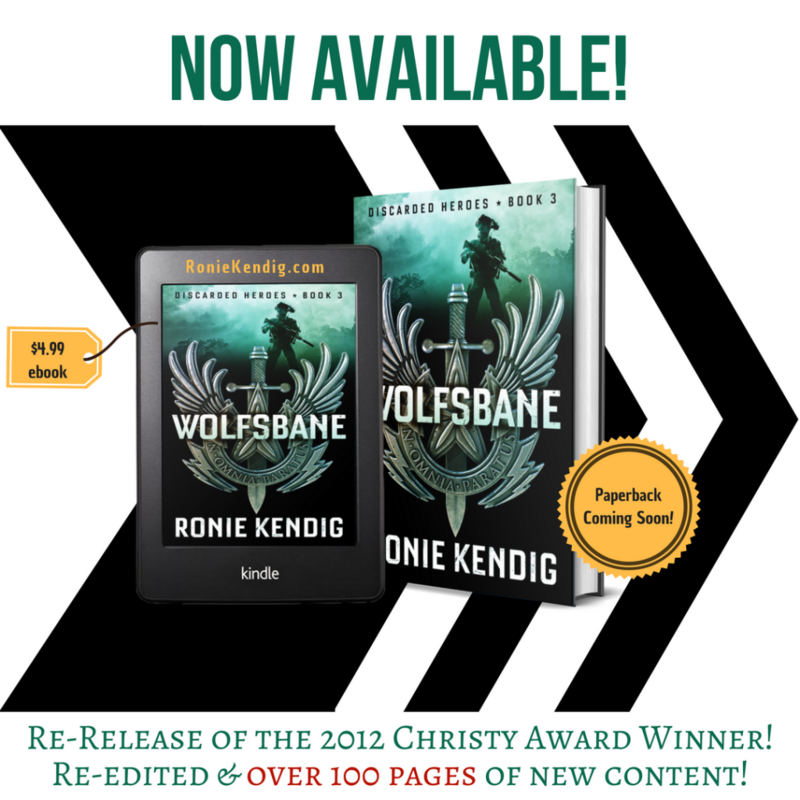 A Rapid-Fire Rewrite of the 2012 Christy Award Winner–Expanded & Updated with 100 new pages! Ahhh…Canyon Metcalfe my first Ronie Kendig hero I fell in love with. An additional 100 pages??? Yes! Yes! YYYYYEEEEESSSSS!!! Hi Amy, I read the first series too. Colton was the one I fell in love with. Ronie’s books are great. Never was a big reader until I read my first book by Ronie, Trinity. It was a great book to begin with. So excited to hear 100 more pages. I’m old fashion, I like holding a book physically, but I may have to get me Kindle. I stopped reading for a while, had a lot going personally and professionally, but I’m about to finish book 1 of the The Tox Files and buying the second one this weekend.